For his Mozart album, Maxim Emelyanychev won an ICMA Award 2019 in the category Solo Instrument. Born in 1988 to a family of musicians, Maxim Emelyanychev first studied conducting at the Nizhny Novgorod Music School then continued his education in the conducting class of Gennady Rozhdestvensky at Moscow’s State Tchaikovsky Conservatory and in the fortepiano and harpsichord class of Maria Uspenskaya. He made his conducting debut at the age of 12 and has since then conducted both baroque and symphonic orchestras. He became chief conductor of Il Pomo d’Oro in 2016 and will be principal conductor of the Scottish Chamber Orchestra, effective with the 2019–2020 season. In parallel he pursues a career as pianist and harpsichordist. Olga Kordyukova from Radio Orpheus made the following interview with him. Please accept my congratulations for the ICMA Award 2019. What does it mean for you? I am very grateful that the members of the Jury listened to my recording and gave it such a high assessment. It is a great pleasure, thank you very much! Young Russian pianist Eva Gevorgyan has already played on many prestigious stages. A student of the Central Music School in Moscow and a scholarship holder of the International Music Academy in Liechtenstein, she has won prizes at various competitions as well as the Discovery Award 2019 of the International Classical Music Awards (ICMA). Jury member Evgenia Krivitskaya from the Russian magazine Musical Life has made the following interview with the ambitious young pianist. What did you feel when you received the news about the the ICMA award? La pianiste française Chantal Stigliani vient de publier son enregistrement du Premier Livre du Clavecin Bien-Tempéré de Jean-Sébastian Bach. Alain Steffen a rencontré l'artiste pour un entretien. Selon vous, quelle importance occupe cette pièce monumentale dans l’œuvre de Bach? German cellist Christoph Heesch won an ICMA Award in the category Concertos with his CD Golden Age - Cello 1925. Born in Berlin in 1995, he started to play the cello at the age of six, and began attending the Julius-Stern-Institut in 2005. From 2008 to 2015 he studied with Jens Peter Maintz, and since 2015 with Wolfgang Emanuel Schmidt, both at Berlin University of the Arts. He also received a scholarship from the International Academy of Music in Liechtenstein. Christoph Heesch has won several prizes, among them the Fanny Mendelssohn Förderpreis, a special prize allowing him to have his own CD produced by Genuin. As a prize-winner of the 25th competition of the Deutsche Musikinstrumentenfonds, he plays a Montagnana cello from 1722, on loan through a trust from a family from London. Remy Franck made the following interview with the young cellist. You won the ICMA Award 2019 in the category Concertos with your CD Golden Age – Cello 1925. How did you end up with this program? In jedem Jahr nominiert die 'European Concert Hall Organisation' talentierte Nachwuchsmusiker und ermöglicht Ihnen Auftritte in den besten Konzerthäusern Europas. Zu hnen gehört die französische Harfenistin Anaïs Gaudemard (*1991). Sie hat innerhalb kurzer Zeit mehrere Preise gewonnen, was ihr erlaubte mit namhaften Orchestern aufzutreten. 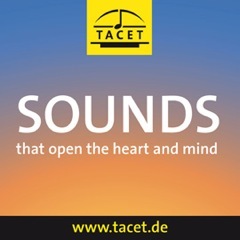 Nach einer CD mit Harfenkonzerten von Ginastera, Debussy und Boieldieu erscheint jetzt ihre neue CD 'Solo'. Alain Steffen traf die Musikerin zu einem Gespräch. Anaïs Gaudemard, die meisten jungen Musiker, die eine Solo-Karriere anstreben, entscheiden sich für Instrumente wie die Geige, das Cello oder das Klavier. Sie aber haben für sich die Harfe gewählt. Fumito Nunoya darf man ohne Übertreibung als einen der international besten Marimbaspieler betrachten. Aber dem Japaner geht es um viel mehr als eitle virtuose Selbstdarstellung auf dem Instrument. Nunoya möchte die Ausdrucksmöglichkeiten erweitern, in dem er dieses traditionell schon uralte Schlaginstrument für neue musikalische Kontexte öffnet. 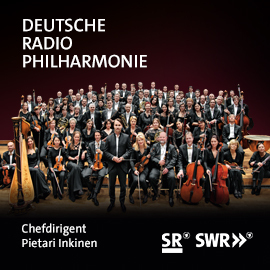 Mit dem Mannheimer Kurpfälzischen Kammerorchester unter Johannes Schlaeflis Leitung stieß er auf überaus hellhörige Partner für seine jüngste CD. Er erschließt unter anderem ein Flötenkonzert von Vivaldi für die Welt der Malletts und Schlegel. Mit Stefan Pieper sprach Nunoya über die Kunst des 'Musikalischen Atems'. Dass ein verantwortungsvoller Musiker immer an sein Publikum denken sollte, war ebenfalls ein zentrales Thema in diesem Gespräch. Wir haben uns ja schon vor zwei Jahren bei Ihrem Piazzolla-Projekt gut unterhalten. Was hat sich bei Ihnen seitdem getan? Der Geiger Mikhail Pochekin ist glücklich, dass das 21. Jahrhundert die Menschen besser zusammenbringt. Man kann mal eben nach Moskau telefonieren und lange reden. Soeben ist der Geiger, der zurzeit in Österreich wohnt, auf einer kleinen Konzerttournee in Moskau, Sankt Petersburg und Jekaterinburg unterwegs. Dass zwischen jedem Ort circa 1000 km liegen ist Normalzustand in Russland - wo in Mitteleuropa schon Wege von 300 km zwischen Aufführungsstätten als 'weit' angesehen werden. Aber die Gemeinsamkeiten überwiegen – etwa wenn es um die Liebe zu Johann Sebastian Bachs Musik geht! Der 28-Jährige hat soeben Johann Sebastians Bachs Sonaten und Partiten BWV 1001-1006 eingespielt, das Studio-1 des Moskauer TV und Radio Hauses bot für dieses Unterfangen den idealen Klangraum. Fast zehn Jahre hatte Pochekin dieses Projekt im Kopf. Im Gespräch mit Stefan Pieper macht er seinen eigenen, tiefen Bezug deutlich. Obwohl die CD erst ein paar Tage raus ist, gab es schon ein beachtliches Medienecho. Lesen Sie Kritiken? Ich spiele ja Musik für ein Publikum und bin immer neugierig zu erfahren, was das Publikum denkt. Und die Kritiker sind auf jeden Fall ein Teil des Publikums. 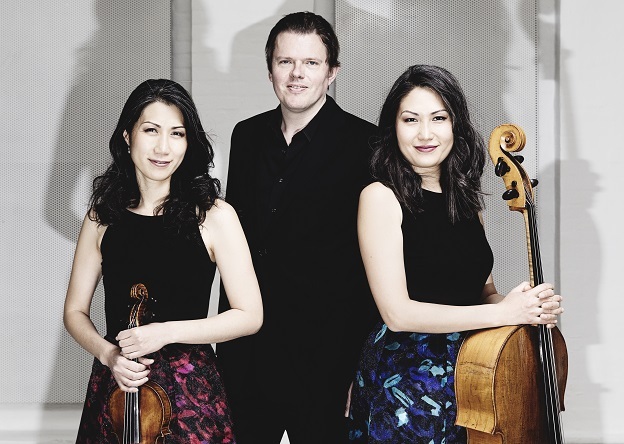 For the Trio con Brio Copenhagen, recognised as one of the finest piano trios in the world, the year 2019 will mark their twentieth anniversary. At this pccaison Orchid Classics is releasing their multi-volume traversal of the complete Beethoven Piano Trios. The two first volumes were published in 2018, vol. 3 will follow in May 2019. James Inverne spoke with the Trio's pianist Jens Elvekjaer. You have referred to the coming-together of the Trio con Brio Copenhagen as the bringing together of “two pairs”. Meaning, of course, the sisters, Soo-Kyung Hong (cello) and Soo-Jin Hong (violin); and then the husband and wife pair of yourself with Soo-Kyung. How did that evolve? Of course, the sisters had played together since childhood, then of course a husband-and-wife relationship is special in its own way, and so we all had these dynamics of unique understandings. And are you still led by that idea, of the two pairs together? Ideas evolve, and now, we discovered that there is another pairing – that between the trio as an entity and the audience. So do you find that you alter your playing depending on the audience? They have an effect, but we now have a clear identity within ourselves, and I think it’s important for the audience when they come to know that they’re getting our way of making music rather than something we are simply going to adjust depending on how the audience feels to us. That way, they are coming to hear the trio’s interpretation, nobody else’s, and an interpretation that we have built up to and that is part of this journey we are on together. Does that then give you a kind of freedom? Yes, because it becomes a true and specific encounter, between our identity and theirs as an audience. And that is real communication, which can make you play even better. It is both a freedom and a fulfillment. At a certain point early in your career, you all made a conscious decision to stop entering competitions. Was that a question of freedom as well? In a way. We stopped because we had won all the major competitions and we kept winning – it was a fantastic thing for us and of course we could just have carried on going from competition to competition for a while longer! But at some stage you have to leave safety behind and say, we’re past that stage now and it’s time to strike out on our journey. Thankfully the trio took off in ‘the real world’ and we haven’t regretted it! And now the trio is approaching its twentieth anniversary, and Beethoven calls! 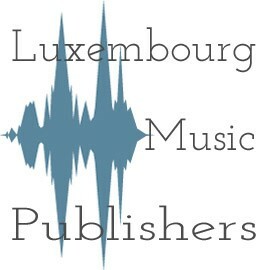 Beethoven has always called us! His trios have been at the core of our work for all the time we have been together. With works that profound and multi-layered your approach is always changing; at the very least you change your perspectives on these pieces as you reach different stages of life and experience. But 20 years seemed like a benchmark, so we decided that now was as good a time as any to record the complete Beethoven trios. They’re being released by Orchid Classics, as three albums over the course of a year. And we’re performing various complete cycles as concerts, as well, during and around that time. Let me ask you a question that is, I suppose, both technical and very much artistic. It sounds as though the three of you are very concentrated in your playing approach, and you speak of the trio almost as a single entity, or even organism. Yes, because a piano trio has to think that way to be an authentic trio; you cannot just bring together three soloists who occasionally play trios and expect them to understand what trio playing is in the same way. It takes a dedication to the form. You have to grow together. So how do you do that? I mean, in the moment of performance, how do you all stay so in touch with each other, almost so as to be a single instrument. There is something about the configuration of a trio, about that triangle, that somehow focuses and amplifies the special understanding that we all have as people and as musicians. It is almost like there is a point of energy in the space between us as we play, and everything we’re all doing somehow meets at that point, becomes something more than any of us, and projects out to the audience with confidence and meaning and strength. Does that sound new-age?! It sounds like a way to try and focus that special quality in performance that is always somewhat abstract and even spiritual, and something, I would think, that the musician controls and yet never quite does, and that itself can drive a performance to great heights. My wife has another way of looking at it. She says that if you throw three fish into a stream, they will instinctively stay close together, and then the current will push you where you are going. Pianist Sheila Arnold does not only feel at home on the fortepiano, but also on the modern, concert grand piano. Her last CD, Écoutez!, is all about the music of modernity - with works by Debussy, Cage and Takemitsu. 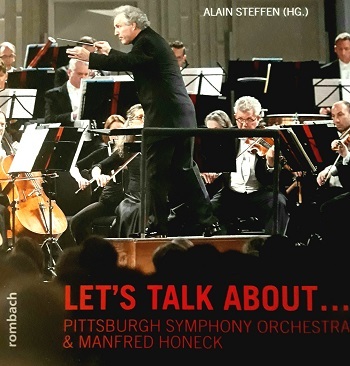 In this interview with Tabea Eppelein, Sheila Arnold explains why this CD is something very personal, and offers new listening experiences. Your CD is called Écoutez!, or Listen! in English. When one hears the sounds on the disc, in fact one can’t do anything but listen. The music is unbelievably varied: energetic and dreamy by turns, and always gripping. How do Debussy, Cage and Takemitsu do this? And how do you manage it yourself, in your interpretations? Sie zählen heute in der Welt der klassischen Musik zur Weltspitze: Die türkischen Schwestern Güher und Süher Pekinel. Herbert von Karajan entdeckte die Zwillinge 1984 und lud sie zu den Salzburger Festspielen ein. Seither hat ihr Klavier-Spiel durch virtuoser Meisterschaft sowie individuelle Ausdruckskraft Maßstäbe gesetzt. Remy Franck hat sich mit ihnen in Paris unterhalten. Hat es ein Zwillingspaar leichter ein Klavierduo zu bilden als zwei Pianisten, die keine Zwillinge sind?